Well, it's time for it to reclaim its rightful place as the football world's main act. After all, what would you rather talk about with your mates? 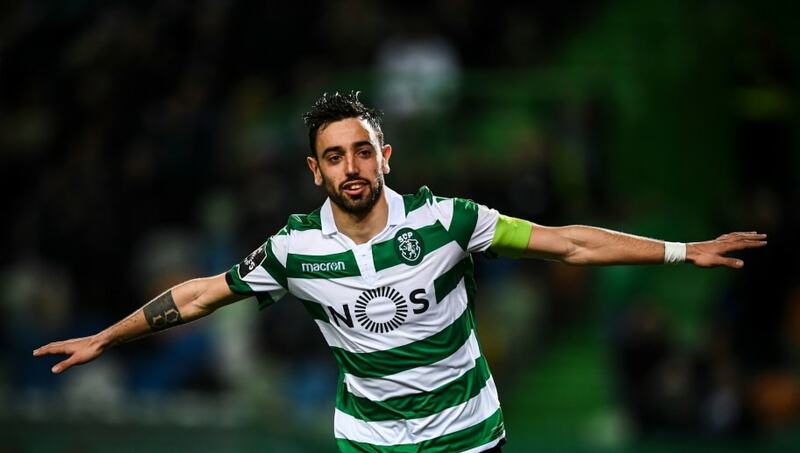 The nail-biting climax to one of the most hotly-contested Premier League seasons in recent years, or the prospect of hearing about Bruno Fernandes being linked with Manchester United for the fifteenth millionth time. It's not even close, let's be honest. So let's start with the one you all want to know about. Perhaps the slowest-moving transfer in the history of football, but according to ​Correio da Manha, there may finally be a bit of movement. Having been 'delighted' with the Sporting midfielder's performances in recent weeks, the Red Devils are now 'ready to advance' with negotiations with the Portuguese side and have been told a figure of at least €70m will be needed to make it happen. If this move doesn't eventually happen, we'll all have been mugged off. And we don't want that to happen, so come on ​United, get this one going please. It was the picture all ​Spurs fan dreaded to see, the messiah himself hobbling back down the tunnel, and then leaving the stadium on crutches. The stats will point to Mauricio Pochettino's side doing remarkably well without ​Kane leading the line, but surely a side with future title aspirations need a better back-up than a 34-year-old Fernando Llorente? Previous frontrunners for Gomez's signature West Ham are also expected to remain in the mix, but the added lure of playing for the coveted putting the pressure on trophy might swing things Spurs' way. German publication ​Fussballeck say that Besiktas don't have the funds to make the loan deal for the Japanese star permanent, and with no long-term future at parent club Borussia Dortmund, the 30-year-old could be on his way to either West Ham or Everton. Whether either side really needs a player of Kagawa's midfield profile remains to be seen, and Hammers fans in particular need no reminding of veteran playmakers coming in and enjoying one half-decent season before doing a runner. Dimitri Payet anyone? They say the German side have 'thrown their eye on the supertalent' and that the 'biggest gem of ​Serie A fits perfectly into the requirements of Bayern'. The Italian has also seen his name linked with moves to fellow European giants Real Madrid and Juventus, but the Bavarian giants could be set to steal a march on their rivals. With central midfield options limited to just Thiago, Corentin Tolisso, Renato Sanches, Leon Goretzka, Javi Martinez, Joshua Kimmich and David Alaba, it's easy to see why Bayern feel the need to boost their depth. Don't you just feel sorry for them? Poor things.